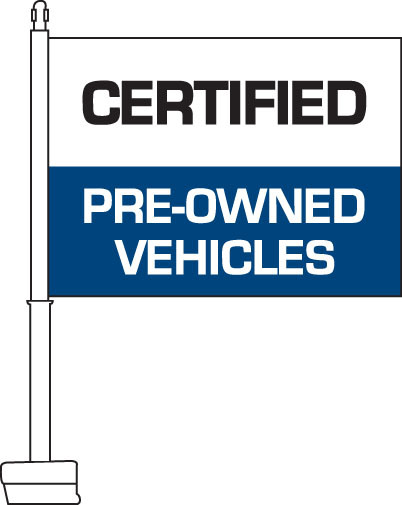 Our Certified Pre-Owned Vehicles (Blue & White) Car Flags feature an upper white field with black text which reads, "Certified." 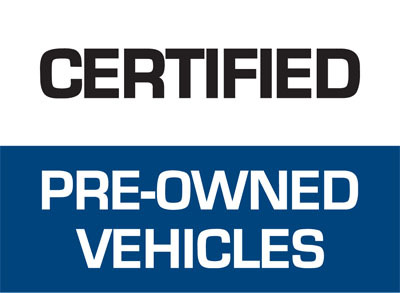 The lower half of the flag is comprised of a blue field with white text that reads, "Pre-Owned Vehicles." 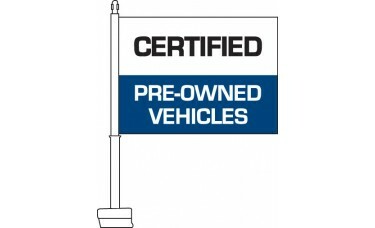 This flag is ideal for new car dealerships looking to attract customers to their used car department.